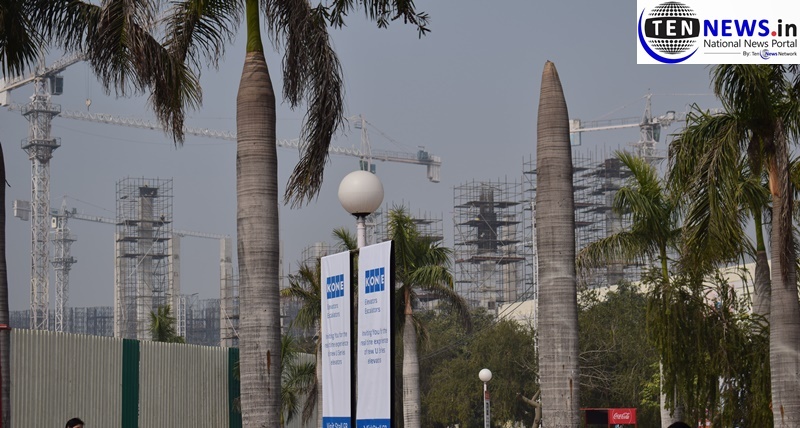 India’s premier exhibition centre which has hosted multitude of national and International events is currently undergoing a major renovation, thanks to Government of India’s initiative to revamp it as per modern needs and growing demand. The design of the revamped Pragati Maidan, with more than 40,00,000 square feet of built-up area, features a convention centre, likely to be one of the largest in India, with a combined capacity of 13,500. The amphitheatre, all set to seat 3,000, is also touted to be one of the largest single-gathering space. The new space shall comprise a plenary hall and a multifunction hall, with capacities of 3,000 and 4,000 respectively. He further talked about the major underground work that includes vast tunnels to regulate traffic movement in an around the Pragati maidan. “We have major underground work also going on which have tunnels to regulate traffic movement and hence the overall renovation project is going out at a rapid pace”, said Kumar. To prevent traffic obstructions, the new design makes provision for a basement, which will be connected to the Ring Road through a series of tunnels, thereby freeing traffic on Mathura Road. There will also be a bus station within the premises to hold 60 buses, and 1.6 million square feet of parking space. Of this, 60,000 square feet will be dedicated to air-conditioned check-in security plazas as well.